Interior design and architecture. Wooden home furniture of living-room in contemporary lodging. 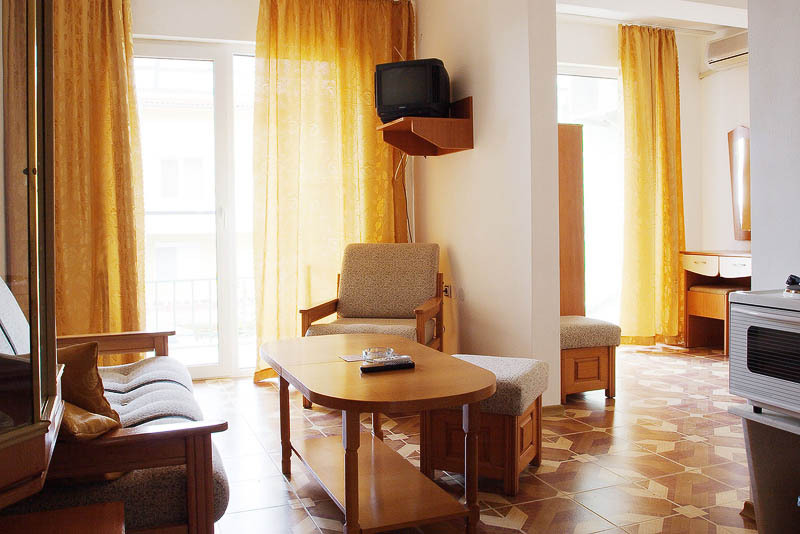 Modern sitting-room with wooden table, sofa bed, armchair, stools and floor with tiles in apartment.